NEW YORK, NY — TigerBee Press' second release of 2017, and first novella since the press' inception, is the earthquake room, a remarkably assured debut by writer Davey Davis. In the near future, Oakland is haunted by natural disaster and political collapse. When k realizes that she has infected her girlfriend, bea, with a disease, she loses herself in a masochistic quest for atonement, leaving bea to contend with her fears about an increasingly precarious world by herself. Literary and adventurous, lyrical yet anchored, Davey Davis' work explores the meanings of responsibility, romantic love, and queer resistance in a late-capitalist hellscape where futurity is always in question. Intimate, taut, shimmery, and unflinching, the earthquake room crosses two cities, one bay, and a kind of queer love that feels like it's about to be lost forever. This is the very physical story of a nearby disaster, an urgent reminder that the (almost) end of the world doesn't mean what we feel for one another gets squared up—but rather that wanting to feel at all is how we survive. Davey Davis’ writing is so intimate it’s uncomfortable, so certain that it’s incredibly anxious. the earthquake room is chock-full of satisfying paradoxes and nuanced complexities. 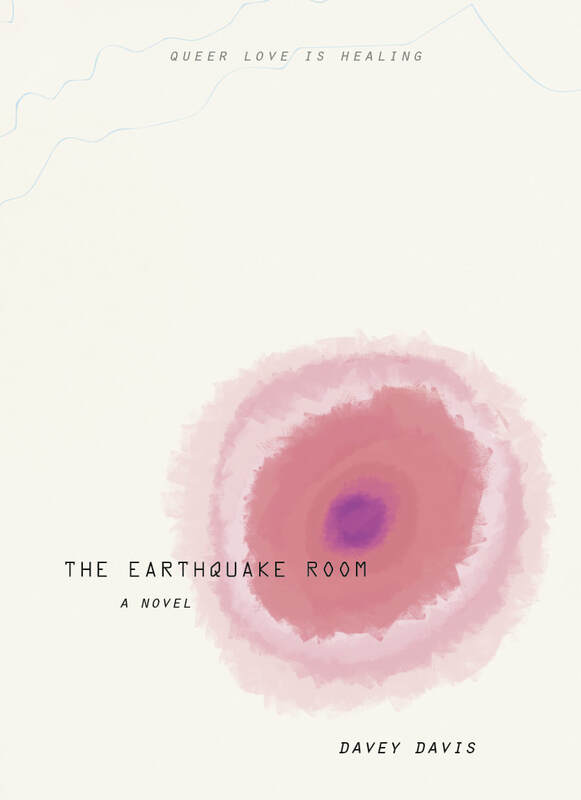 the earthquake room is a beautifully written story about love, pain, fear, and friendship set against an apocalyptic moment that looks very much like our own. It's a romance at once dystopian and utopian, wrought with a miniaturist's skill and precision.